Safer than a real stick and a lot more fun. 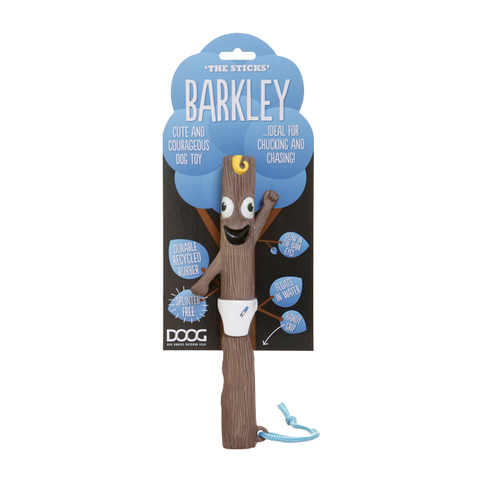 The DOOG Sticks are splinter free, made from recycled rubber, have glow in the dark eyes and float in water. The sticks all come with a handy grip molded into the toy plus a slobber resistant rope for improved throwing and grappling. The rope allows you to attach it to your belt or hang them at your front door ready for their next adventure. Note: These toys are not designed to be chewed and please use them for chucking and chasing only. Made from recycled rubber.